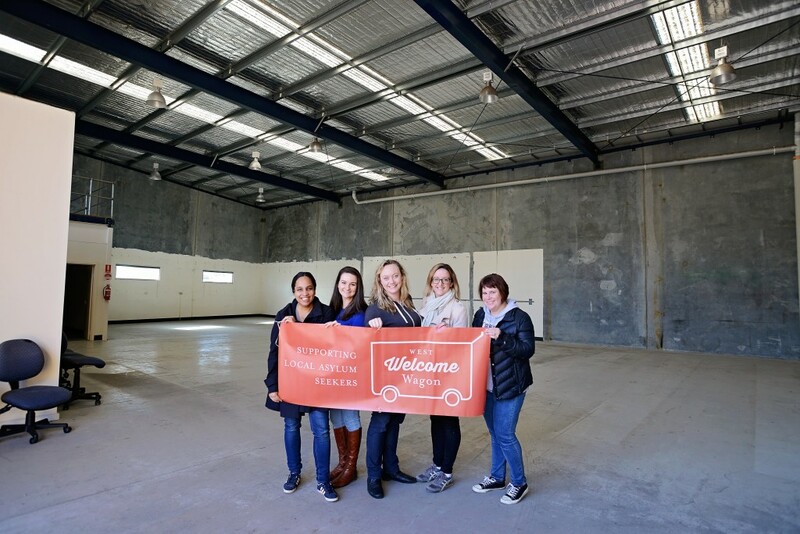 West Welcome Wagon has recently secured a warehouse in which we can sort, store, pack and distribute vital material aid donations for asylum seekers. In the past, West Welcome Wagon volunteers offered up space in their own homes to sort and store donations. Unfortunately, due to the massive quantity of donations, this model was unsustainable and the need for a centralised space from which to operate became crucial. The use of this new warehouse in Sunshine West enables West Welcome Wagon to provide essential aid to more asylum seekers in need. West Welcome Wagon is hoping to reach $33,000 in donations, which would cover most of the first year’s rent of the warehouse, as well as enabling us to continue our vital aid to local asylum seekers. Donations over $2 are tax deductible and can be made via Give Now, or PayPal. Sponsorship opportunities are also available. For further information please email us at sponsorship@westwelcomewagon.org.au.